DO ZOMBIES WALK AT COLLINWOOD? Upset over the death of Ernest Collins, Victoria begins to believe that phantoms are haunting her. Are they figments of her imagination? As the threats to her life become very real, she is forced to accept the horrifying truth. Copyright Dan Curtis Productions. First edition printed May 1968. This seventh printing – April 1969. Dysfunctional families – that great invention of the 1990’s Oprah generation. Of course in the good old days, before all this new-agey psycho babble became all the rage, f***ed-up families weren’t ‘special needs’ at all – of course not, they were cursed. So much more glamourous. In my last post I had the audacity to suggest that the Collins’ of Dark Shadows fame stood as a shining example to us all of a family so riddled with dark deeds and unnatural lusts even Jeremy Kyle would shudder at the prospect of taking them on. And here’s the proof! 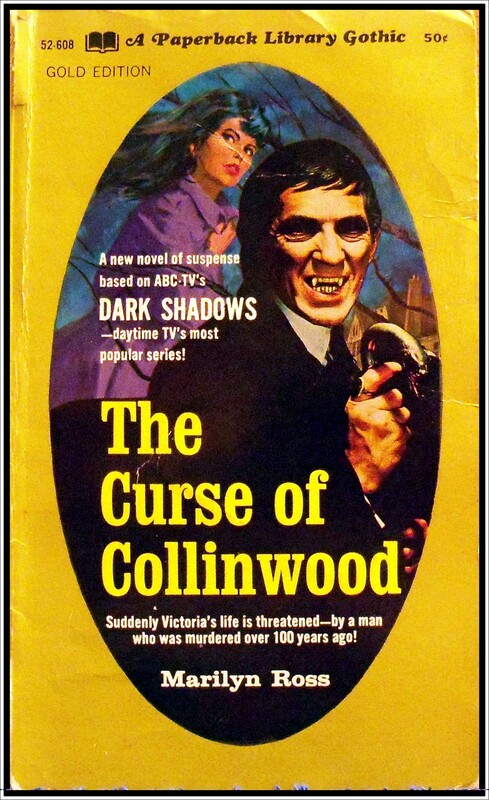 Plundering my collection of Dark Shadows paperbacks, I’ve found not one, not two, but THREE Marilyn Ross novels chronicling the various curses afflicting the Collinwood clan – though truth be told I think the word is being used a little loosely here. Copyright Dan Curtis Productions. 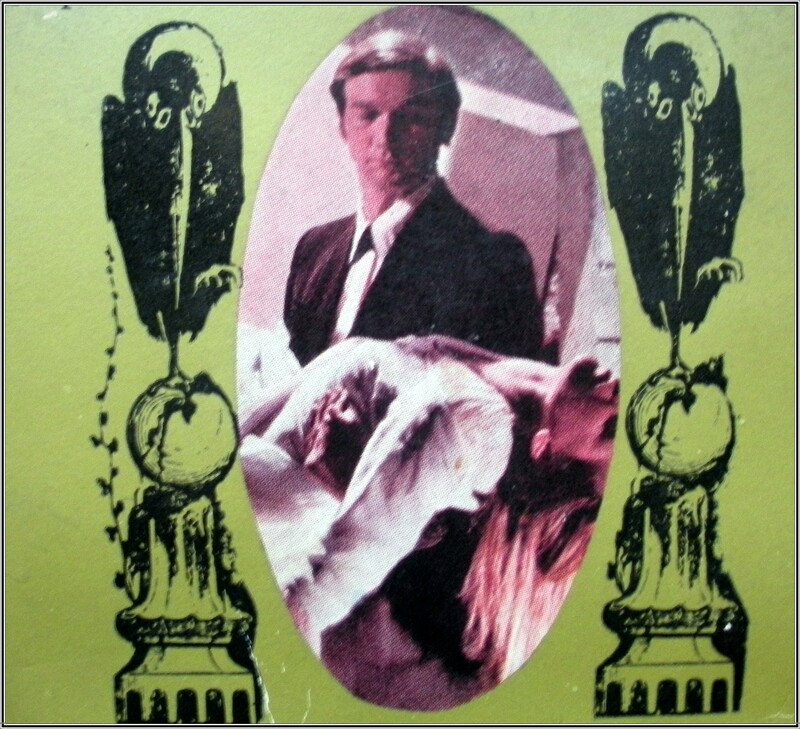 First printing August 1970. 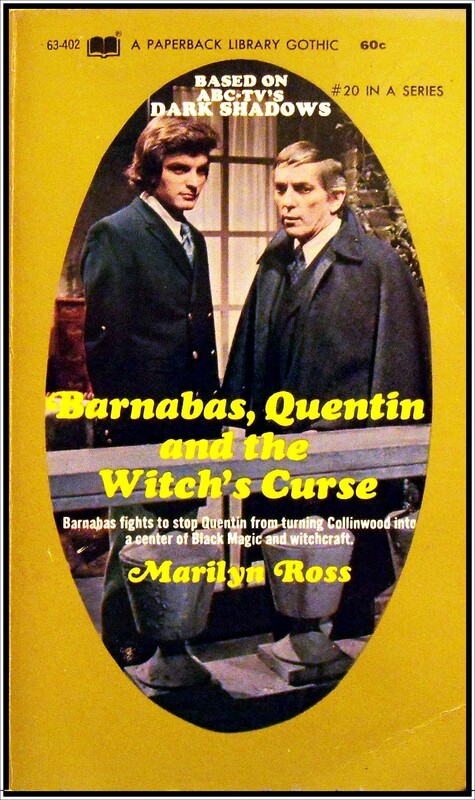 CAN BARNABAS STOP QUENTIN FROM BRINGING HIS COVEN TO COLLINWOOD? Quentin Collins’ coven of witches, centred in the Castle Asariana in Venice, was the scandal of the city. Reports of the bizarre practices of the Devil worshippers, all of whom were beautiful girls, circulated widely, and invitations to the parties that Quentin sometimes held to attract new members to his cult, were greedily coveted. Then two Americans died while spending an evening at the castle but before the authorities could investigate, Quentin and his entire group vanished. Soon after, Quentin shows up at Collinwood, with the intent of establishing his cult there. 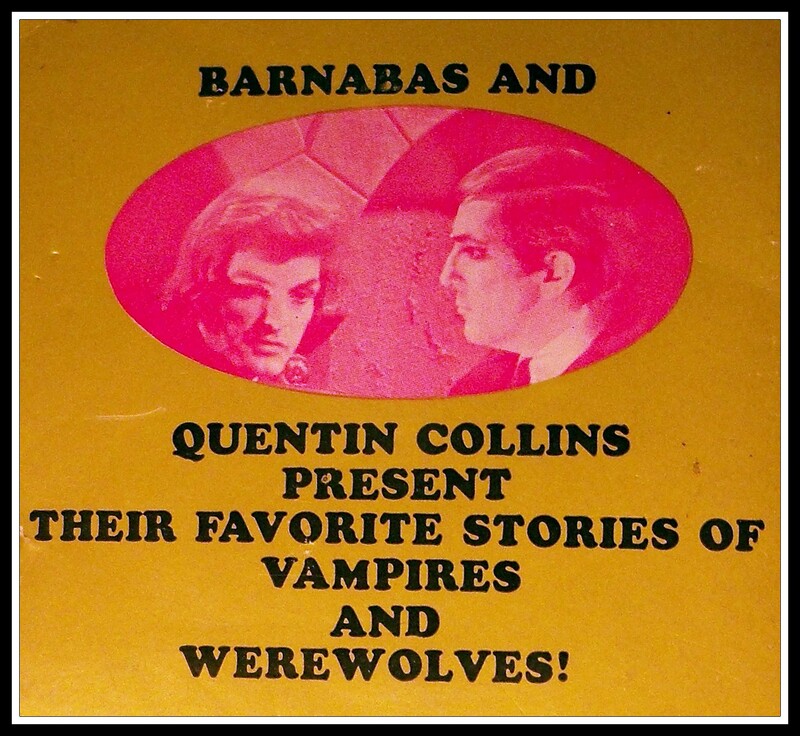 Barnabas knew it was up to him to stop Quentin before Collinwood was turned into a centre of Black Magic and Satan worship. But who wielded the stronger power – Barnabas or the Devil himself? 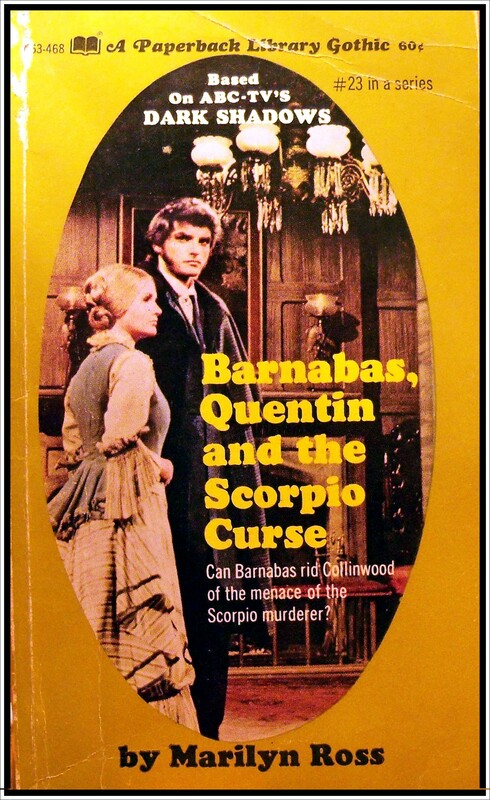 Barnabas, Quentin and the Scorpio Curse. Copyright Dan Curtis Productions. 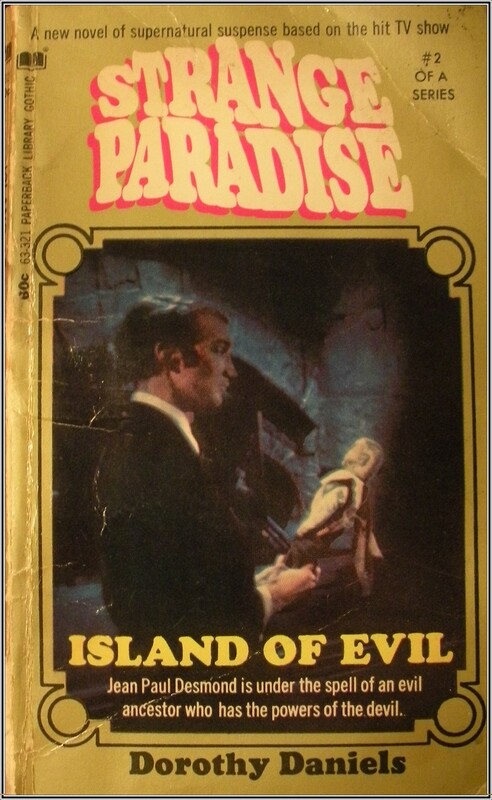 First printing November 1970. IS THE SIGN OF SCORPIO THE MARK OF DEATH? Then Diana Collins, another relative of the Collins family who is undergoing psychiatric treatment at the hospital, finds a bloody knife in her room. Diana, whose astrological sign is Scorpio, is afraid that she may have committed the murders during one of her blackouts. The fear that she is losing her mind is compounded when no one will believe she has seen a strange, wolf-like creature prowling the grounds. The only person who will listen to her story is Barnabas. But how can he help her when he too has become a suspect? If this were an ordinary book, and we were ordinary mortal editors, we would take our leave of you now, dear readers, and commend you to the text without further comment beyond our injunction to enjoy yourselves. But since neither of these things is true we are compelled to beg your leave to continue a while longer, in order that we may impart to you a smattering of knowledge of the curse that is our lot to carry in our withered hearts…. – From the introduction by Barnabus and Quentin Collins. 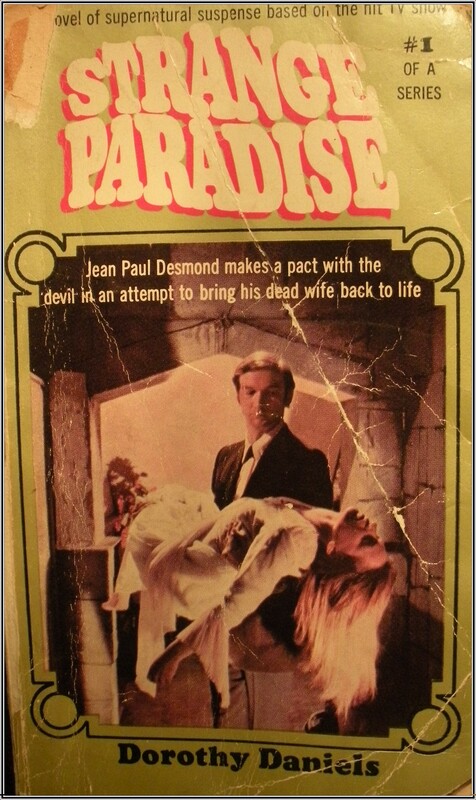 Paperback Library Gothic, first printing August 1970. 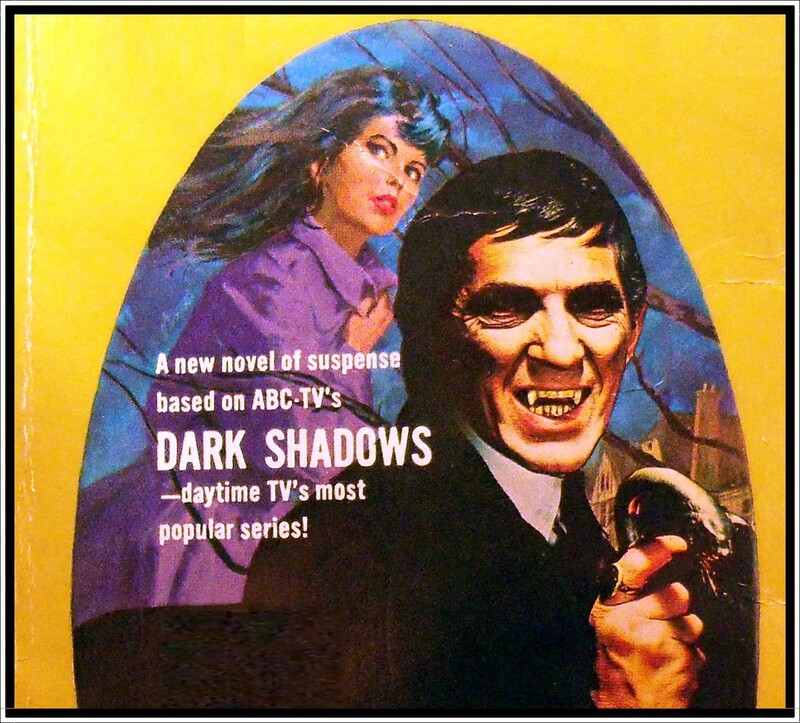 I wanted to end this month’s posts with a gothic about werewolves but couldn’t find one, so I’ve decided to make do with a couple of quickie stories from my trusty supply of Dark Shadows paperbacks instead. 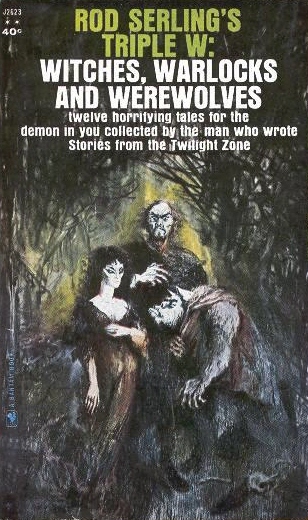 Following on from the fabulously flowery introduction, Barnabas has the lion’s share of this anthology with seven of the nine stories featuring vampires. Of the two werewolf tales, Men-Wolves (From the Polish) is a mere four pages long and isn’t really a story as such, reading more like an extract from a textbook on werewolf folklore. That leaves Wolves Don’t Cry by Bruce Elliott. This is an interesting twist on the werewolf legend. An enjoyable read, funny and touching at times, it follows the adventures of a wolf in a zoo that wakes up to find itself transformed into a man and desperate to become wolf again. “Was a noose tightening around a horrified Deborah Foster? It was the night of evil ritual. The worshippers of the devil danced around the ruined abbey, now transformed into a temple of terror. Deborah had come there hoping to unmask her sister’s killer. 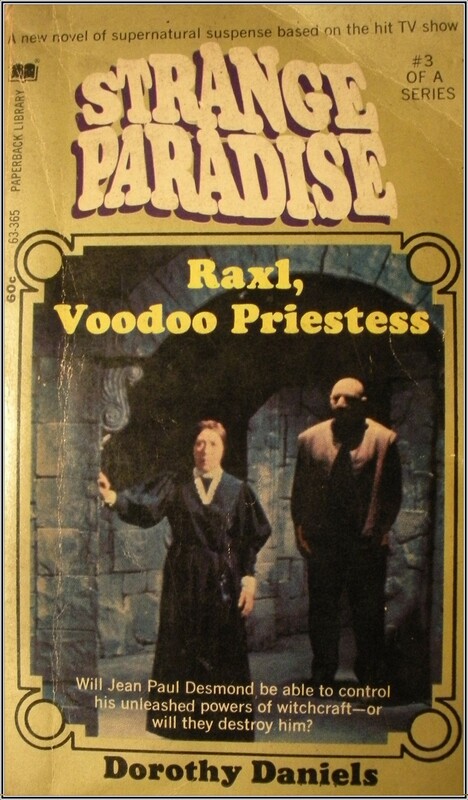 Written by Marilyn Ross and first published in 1966 by Paperback Library Gothic. Marilyn Ross was one of the pseudonyms used by Canadian author William Edward Daniel Ross who is well known for his popular novels based on the Dark Shadows television series. A Gathering of Evil is set in 1872 and tells the tale of a young woman called Deborah struggling to find out the circumstances of her late sister’s death. Against all advice she travels to the estate of her sister’s widower where she finds herself pitted aganst all manner of evil things, including phantoms, werewolves, hunchbacked gypsies and transmigrating souls – and she even manages to attend the odd satanic mass or two. Nothing is as it seems in this haunted mansion of dark cellars and secret passageways as friends become enemies and enemies turn out to be – well not quite as nasty as they first appeared. This is a nice supernatural thriller choc full of gothic goings on, but the ending comes on a little sudden and I didn’t feel all the earlier spookiness was adequately accounted for. The heroine, Deborah, was actually very brave and dealt with whatever was thrown at her quite well (better than I would anyway) – though I had to question why she kept turning up at those Black Masses when she was so obviously repulsed by those pesky Satanists – that was just asking for trouble. Extra points awarded for the fantastically named leading man – Roderick Vroom. Four out of five stars.